Ada pertanyaan untuk Umadasa Seminyak Bed and Breakfast? Baik untuk tujuan wisata atau bisnis, Umadasa Seminyak Bed and Breakfast adalah pilihan akomodasi yang tepat ketika mengunjungi Bali. Dengan lokasinya yang hanya 0. Km dari pusat kota dan 7. Km dari bandara, properti bintang 2 ini menarik perhatian banyak wisatawan setiap tahunnya. Lingkungan yang terawat dengan baik serta lokasi yang berdekatan dengan Cocoon Beach Club, Klinik Padma, Konsulat Brasil memberikan nilai tambah untuk properti ini. Umadasa Seminyak Bed and Breakfast menawarkan pelayanan sempurna dan segala fasilitas penting untuk memanjakan para wisatawan. WiFi gratis di semua kamar, penyimpanan barang, Wi-fi di tempat umum, tempat parkir mobil, layanan kamar merupakan fasilitas yang tersedia untuk memberikan kenyamanan kepada para tamu. 5 kamar yang tersebar di 2 lantai memberikan suasana hangat dan menyenangkan ketika Anda jauh dari rumah. Kenyamanan seperti televisi layar datar, akses internet WiFi (gratis), kamar bebas asap rokok, AC, meja tulis dapat di temukan di beberapa kamar tertentu. Daftar lengkap fasilitas rekreasi yang tersedia di properti ini meliputi kolam renang luar ruangan, pijat, taman. Apapun alasan Anda mengunjungi Bali, Umadasa Seminyak Bed and Breakfast adalah tempat yang sempurna untuk liburan yang menyenangkan. hotel ini mempunyai suasana yang homy banget. lokasi dengan pantai juga cukup dekat hanya 10 menit jalan kaki. makanan murah juga tersebar banyak sekitar hotel. I really enjoyed my stay here, the staff were so helpful at any request I had. the location was great I was in that area for the shopping so was Right amongst the shops on Double six and only a minutes walk to the beach. They have a set breakfast every morning which I found to be delicious. I will be staying here again when I come back to Bali. I can't fault it at all. I managed to score the loft/ family room with 2 bedrooms, it's definately not a place for people with partying in mind, situated top of legian/ bottom on seminyak it's a little hard to find... It's down a dirt lane way then off to the right, it's a villa with the number 10 on the door. Very relaxing, not big but very nicely furnished, would suggest it for the more mature traveller that wants a quiet stay that's still close to everything. Faultless. 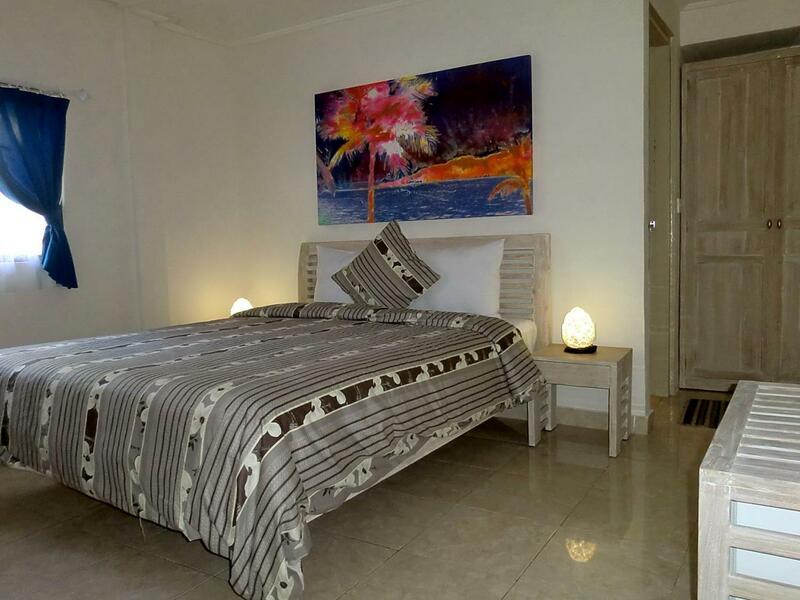 Adorable guesthouse, cosy and comfortable, unique, clean, centrally located. Our group of four liked it so much we reserved an additional night as soon as we checked in. Chezzy and his staff were such a help during our time in Seminyak. We'll stay again in a heartbeat and the next time we're in Bali. Excellent. Great family room. Very good place to stay upon arrival in Bali and before departure. So close to great beach and beginners surf. Umadasa provide lots of information to help the traveller. Quiet and clean and restful. Fantastic! Being treated like royalty and nothing was too much to ask and service delivered with a smile. The breakfast was tasty and a great selection every morning. Overall, I would definitely come back and already miss the beautiful girls and Chesy's lovely smile and morning chats. The Umasada Seminyak Hotel was exactly what you would expect from looking at the pictures. The walls were covered with local art and the hotel/rooms were nice and clean. What can't be seen in the pictures is the staff, who were exceptionally friendly and helpful. Great value for money! Very close to beach, breakfast was great and the staff was extremely kind and accommodating. I was worried that the B&B may be a little loud, given such a small amount of common space, but was pleasantly surprised. Would DEFINATELY recommend airport pick up - and follow up if you don't hear back! This place is impossible to find on your own, and the locals aren't familiar with it either. I would like to say that I love this hotel very much! This is a private house with a swimming pool (water is pretty cold) & quite surrounding . It is next to the tune hotel. You have to ask around because this hotel do not have any signboard. the main door is the wooden door. I booked this hotel in Agoda.com 2 months ahead for RM190/night. but before the date I check in to this hotel, the rates drops to RM130/night. :( Anyway, this is a good choice as the room is very limited (only 5 rooms). Grab it and you won't be regretted. We are lucky to have room that have the pool view. The highlight for this hotel is the - Breakfast ! The breakfast is really yummy & it prepared freshly upon your request in the morning. The best breakfast I had in Seminyak , until now , I still miss the Umadasa breakfast ! Location is excellent although hard to find at first. You have to ask around for direction. The B&B is located in a back alley with no sign. Luckily one of the staffs were closed by and offered to motorcycle me to the house. Welcome drink was refreshing. The staffs were nice. The house has few rooms available. Unfortunately, I was told by the host that I did not have a room to stay due to double booking. The host then got me a room in Bali Subak hotel right across the street instead. In my opinion, this should never happened. Although the location wise is the same. The hotels were completely different. Bali Subak has many rooms but was deserted. No staffs or customers were present. The room I stayed in look old. And from checking the price, it was cheaper. If I knew ahead of time I would cancel and re-book somewhere else.